Fancy a rock night out? Full casting is announced for the Ambassadors Theatre run of the critically acclaimed ALL OR NOTHING – THE MOD MUSICAL, with book by Carol Harrison and music and lyrics by the Small Faces. The show transfers to the Ambassadors Theatre in London’s West End on 28 March, following a sell-out season at the Arts Theatre. The 10-week run at the Ambassadors Theatre will begin with a Gala Night on Wednesday 28 March and will end on Saturday 2 June 2018. Tickets are now on sale. Joining the previously announced cast are Mark Newnham as alternate Young Steve Marriott, Rikki Lawton as Jimmy Winston, Tamsin January and Connor Barrister. ALL OR NOTHING is the story of four charismatic young kids from East London with humour, attitude, passion and, above all, talent. They became the Small Faces and were rocketed into the big time, only to discover the path to success is paved with exploitation, betrayal and, ultimately, tragedy. In 1965, a new phenomenon erupted out of London’s East End. It was the essence of all that was cool. It was Mod. ALL OR NOTHINGfollows the rise and demise of the Small Faces, the band who encapsulated all that was Mod – a unique blend of taste and testosterone, clothes-obsessed and street-wise – but most of all, a dedication to rhythm ‘n’ blues. 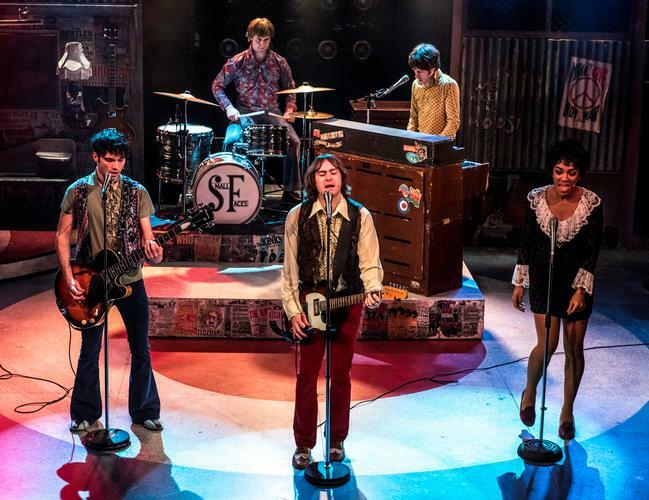 The musical celebrates the unique sound of this iconic Mod band, with all the Small Faces’ hits, including Whatcha Gonna Do About It, Tin Soldier, Lazy Sunday, Itchycoo Park and, of course, All or Nothing. The show is endorsed and supported by many of those who feature in its story, including singer P.P. Arnold and Steve Marriott’s daughter, Mollie Marriott, who is the show’s vocal coach and creative consultant. ALL OR NOTHING – THE MOD MUSICAL is directed by Carol Harrison, with set design by Rebecca Brower, lighting design by Peter Small, sound design by Chris Drohan, choreography by Cameron Hall and musical supervision by Pat Davey. ALL OR NOTHING – THE MOD MUSICAL is produced in the West End by Rock ‘n’ Roll Productions.